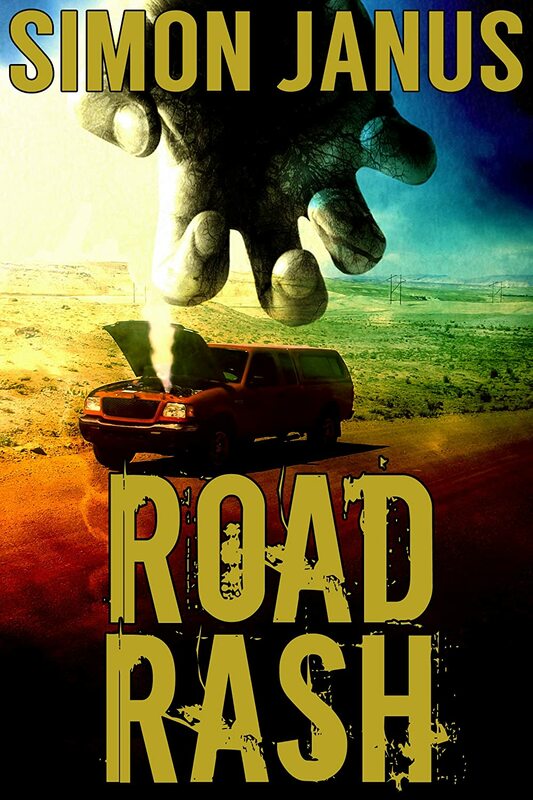 James Straley might think his life is cursed, but it doesn’t compare to what lies ahead of him on life’s highway. He’s on the run with the proceeds of a botched bank robbery. It’s all he has. His crew is dead and his getaway car just died on him. He’s on foot with the cash when he comes across a two-car pileup. There’s no saving the drivers, but he can save himself by stealing one of the wrecked cars. Unfortunately, he boosts the wrong set of wheels. Within an hour of driving off, he develops a rash that eats away at his flesh. No doctor can help him—only the car’s original owner. If Straley wants his skin back, he must journey on the road to redemption, which ends in the heart of Central America. Simon Wood is a California transplant from England. He’s a former competitive racecar driver, a licensed pilot, an endurance cyclist and an occasional PI. He’s the Anthony Award winning author of Working Stiffs, Accidents Waiting to Happen, Paying the Piper, Terminated, Asking For Trouble, We All Fall Down and the Aidy Westlake series. His latest thriller is NO SHOW, the first in the Terry Sheffield mysteries. He also write horror under the pen name of Simon Janus. Curious people can learn more at http://www.simonwood.net.